Piazza at Idaplatz is always a good choice as this charming bar and the whole square are full of nice Zurich people at nights, but still not too trendy. 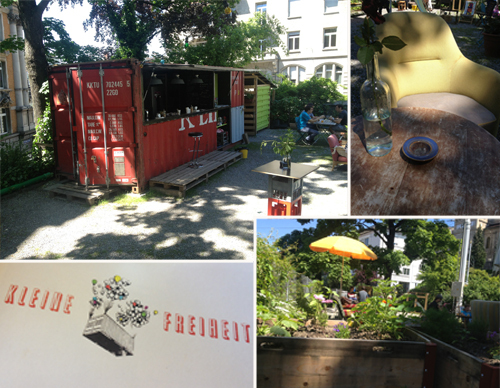 The garden behind Restaurant Reithalle is one of our favourites and they serve good local beer. The much smaller garden at Piccolo Giardino is very familiar and you might want to stay there forever. Für Dich, Mars Bar, Xenix or Volkshaus are other good options. If you like it very down-to-earth, Bierhalle Wolf or Rheinfelder Bierhalle might be the places for you! To be honest, we have never been there, but they surely serve good beer. By the way: people say, one of the best beers brewed in Zurich is Hirnibräu. The problem is, we don’t know where to buy it. But you could have it delivered somewhere. Other good local beers are Bier Paul and Turbinenbräu. As already mentioned, the Langstrasse is a good place for night-owls. A bar myfriendfromzurich particularly likes is the Meyer’s. It´s a bit further up though, but the Toast Hawaii and the genuine crowd, makes up for the night journey. How about a bar-tour tonight, followed by a brunch in one of the many cafés tomorrow morning? - Have a beer at the recently reopened Ole Ole Bar. - Enjoy a cocktail at Dante or Grande or at the splendid Raygrodski. 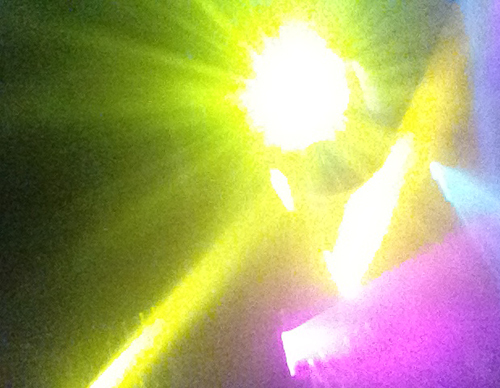 - Drink & dance at the Longstreet Bar. - Join the party people for a Cuba Libre at Bar3000. - Maybe the best food is served at Kafi Dihei. - If you want to bring along children, go to Kafi Für Dich. - The oriental food lovers will be happy at Maison Blunt. - Very relaxed is the atmosphere at Piazza, Dini Mueter or KAFISCHNAPPS. Well, all there is to say: don’t drink too much tonight so that you can still enjoy breakfast tomorrow!